All of us at sobobaweightloss.com view ourselves as members of the sobobaweightloss.com community and we guard your personal information as zealously as we guard our own. 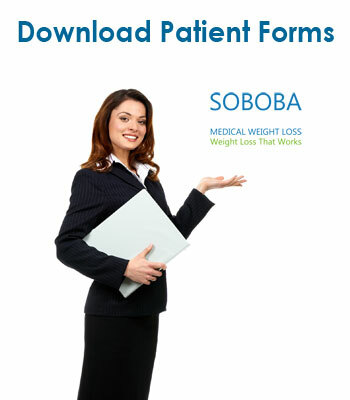 When you visit sobobaweightloss.com you can be assured that your confidential information will always remain completely private and not be shared with anyone without your permission. This site is produced by SOBOBA MEDICAL GROUP., 27001 Moulton Pkwy a103 Laguna Hills, CA 92656. The sobobaweightloss.com website does not collect personally identifiable information regarding the users of its website unless such information is voluntarily provided by the user. We will not disclose your individual identity or personally identifiable information without your prior consent except as required by law, court order or as requested by other government or law enforcement authority. sobobaweightloss.com does place a cookie into the browser file on your computer. The cookie is a small computer file the web server uses to recognize the computer of users that have visited the web site previously in order to gather information about usage patterns and enable certain website functionalities. The cookie does not contain or collect any personally identifying information, but will collect information regarding the usage patterns associated with the user’s personal computer. Information tracked with cookies is primarily used to improve and update the site and to provide site-traffic data, and is only made available on an aggregate basis for the sole purpose of providing information to advertisers. When and if we do present such aggregated information to our advertisers or other outside companies, no one will be able to identify you or contact you. If you do not wish to permit the placement of cookies on your computer, most web browsers have a feature which will allow you to block cookies. However, you should be aware that blocking the placement of cookies may disable or hinder certain website functionalities. Sobobaweightloss.com collects cookies on our Web site to capture information about page visits. This information is anonymous and Sobobaweightloss.com uses this information only internally—to deliver the most effective content to our visitors. Information from the cookies is used to gauge page popularity, analyze traffic patterns on our site and guide development of other improvements to our site. Sobobaweightloss.com does not require that you accept cookies, however, some functionality on our Web site, our product or service check-out process, and products and services may be disabled if you decline to accept cookies. You can set your browser to notify you when you receive a cookie, giving you the chance to decide whether or not to accept it. You may also change your cookie settings through preferences options in our products and/or services, where applicable. Sobobaweightloss.com never gives away information about our users. If you choose to e-mail us and provide personally identifiable information about yourself, Sobobaweightloss.com will use this information only to respond to your inquiry. Sobobaweightloss.com will not sell, rent or otherwise disclose that information to third parties unless such disclosure is necessary for the purposes set forth in this Policy, by law or a policy or notice contained or associated with a specific Sobobaweightloss.com product or service. Sobobaweightloss.com uses analytics data and the DoubleClick cookie to serve ads based on a user’s prior visits to our website. Site visitors may opt out of the DoubleClick cookie by visiting the Google advertising opt-out page or they may opt out of Google Analytics by visiting the Google Analytics opt-out page. For that reason, our website does not solicit, collect or maintain personally identifiable information from users we actually know are under age 13.
sobobaweightloss.com may, from time to time, contain links to other sites on the Internet. We cannot control and are not responsible for the privacy practices or content of any other website. We caution you to review the privacy policies of any such sites prior to submitting personally identifiable information to these sites. Information posted on forums, bulletin boards, or similar portions of the sobobaweightloss.com website (“Forums”) is supplied by third parties and other users unless sobobaweightloss.com or its authorized representatives identifies itself as the content poster. Any opinions, advice, statements, services, offers, or other information or content expressed or made available by third parties or any other user are those of the respective author(s) and not of sobobaweightloss.com. sobobaweightloss.com reserves the right to monitor Forums to determine compliance with these Terms and Conditions, as well the right to remove or refuse to post any posting, including any of the above postings upon discovery thereof. Notwithstanding these rights, users remain solely responsible for the content of their postings. You acknowledge and agree that neither sobobaweightloss.com nor any third party content provider will assume or have any liability for any action or inaction by sobobaweightloss.com or any third party content provider with respect to any posting on the Forums. You will not (i) select or use a member name or e-mail address of another person with the intent to impersonate that person; (ii) use a user name or e-mail address subject to the rights of any person without authorization; (iii) use a member name in violation of the intellectual property rights of any person; or (iv) use a member name that sobobaweightloss.com, in its sole discretion, deems offensive. Further, you hereby grant to sobobaweightloss.com the royalty-free, perpetual, irrevocable, non-exclusive right and license to use, reproduce, modify, adapt, publish, translate, create derivative works from, distribute, perform and display any message posted in Forums (in whole or in part) worldwide and/or to incorporate it in other works in any form, media or technology now known or later developed. The sobobaweightloss.com website may contain links to third party websites, either provided as a convenience to the user or as part of a third party advertisement. sobobaweightloss.com does not endorse the content of linked third-party websites nor any products or services that may be offered thereon and does not make any representations regarding the content or accuracy of materials on such third-party websites. If you decide to access linked third-party websites, you do so at your own risk. Your use of third-party websites is subject to any terms and conditions of use for such websites. You agree to defend, indemnify and hold sobobaweightloss.com, its officers, directors, employees, agents, licensors, and suppliers, harmless from and against any claims, actions or demands, liabilities and settlements, including, without limitation, reasonable legal and accounting fees, resulting from, or alleged to result from, your use of the Content or any other portion or aspect of the website in a manner that violates or is alleged to violate these Terms and Conditions. Promotion available to new patients only. Free gifts and services are only available/redeemable in person at SOBOBA offices. Limit one per client. SOBOBA MEDICAL GROUP reserves the right to refuse service to anyone at SOBOBA MEDICAL GROUP’s sole discretion. The sobobaweightloss.com website is intended solely for the use of persons within the United States, its territories and possessions. Persons accessing or making any use of this website from outside of the United States do so at their own risk and are responsible for compliance with any and all applicable laws. 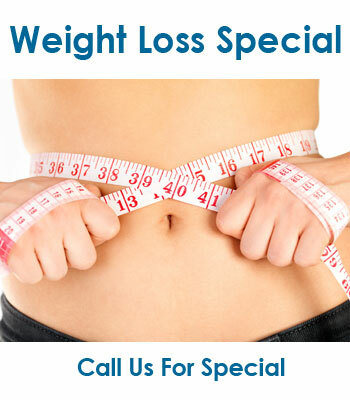 These Terms and Conditions constitute the entire agreement between you and sobobaweightloss.com with respect to the use of the sobobaweightloss.com website. Any dispute between you and sobobaweightloss.com with respect to these Terms and Conditions, the sobobaweightloss.com website or any use of the sobobaweightloss.com website or its Content will be subject to the exclusive jurisdiction of courts in the state of California and these Terms and Conditions shall be governed by the laws of the state of California regardless of choice of law principles. If any provision of these Terms and Conditions is found to be invalid by any court having competent jurisdiction, the invalidity of such provision shall not affect the validity of the remaining provisions of these Terms and Conditions, which shall remain in full force and effect. No waiver of any of these Terms and Conditions shall be deemed a further or continuing waiver of such term or condition or any other term or condition. THIS NOTICE APPLIES TO ALL OF THE RECORDS OF YOUR CARE GENERA TED BY THE PRACTICE, WHETHER MADE BY THE PRACTICE OR AN ASSOCIATED FACILITY. Health care operations. Your health information may be used as necessary to support the day-to- day activities and management of our medical practice. For example, information on the services you received may be used to support budgeting and financial reporting, and activities to evaluate and promote quality. Fund raising. Unless you request us not to, we will use your name and address to support our fund-raising efforts. If you do not want to participate in fund-raising efforts, please check off the following box. We are required by law to maintain the privacy of your protected health information and to; provide you with this notice of privacy practices. You may generally inspect or copy the protected health information that we maintain. As permitted by federal regulation, we require that requests to inspect or copy protected health information be submitted in writing. You may obtain a form to request access to your records by contacting our receptionist or privacy officer. Your request will be reviewed and will generally be approved unless there are legal or medical reasons to deny the request. This Notice is effective on or after January 1, 2001. You have the right to inspect and copy medical information that may be used to make decisions about your care. This includes your own medical and billing records, but does not include psychotherapy notes. Upon proof of an appropriate, legal relationship, records of others related to you or under your care (guardian or custodial) may also be disclosed. To inspect and copy your medical record, you must submit your request in writing to our Privacy Officer. Ask the front desk person for the name of the Privacy Officer. If you request a copy of the information, we may charge a fee for the costs of copying, mailing or other supplies (tapes, disks, etc.) associated with your request. We may deny your request to inspect and copy in certain very limited circumstances. If you are denied access to medical information, you will be given a written explanation of the denial of your request. You will be also given an opportunity to request a review of that decision by a licensed professional chosen by the practice who was not involved in the original decision to deny the request. The practice will complete this review with 30 days and the results will be communicated to you. To request an amendment, your request must be submitted in writing, along with your intended amendment and a reason that supports your request to amend. The amendment must be dated and signed by you. The Practice has a specific form available for this purpose. You have the right to request an “accounting of disclosures”. This is a list of the disclosures we made of medical information about you, to others. To request this list, you must submit your request in writing. Your request must state a time period not longer than six (6) years back and may not include dates before April 14, 2003 (the actual implementation date of the HIPAA Privacy Regulations). Your request should indicate in what form you want the list (for example, on paper, electronically). We will notify you of the cost involved and you may choose to withdraw or modify your request at that time before any costs are incurred. We are not required to agree to your request and we may not be able to comply with your request. If we do agree, we will comply with your request except that we shall not comply, even with a written request, if the information is excepted from the consent requirement or we are, otherwise required to disclose the information by law. SOBOBA MEDICAL GROUP abides by the federal Digital Millennium Copyright Act (DMCA) by responding to notices of alleged infringement that comply with the DMCA and other applicable laws. As part of our response, we may remove or disable access to material residing on a site that is controlled or operated by SOBOBA MEDICAL GROUP that is claimed to be infringing, in which case we will make a good-faith attempt to contact the person who submitted the affected material so that they may make a counter notification, also in accordance with the DMCA. Before serving either a Notice of Infringing Material or Counter-Notification, you may wish to contact a lawyer to better understand your rights and obligations under the DMCA and other applicable laws. The following notice requirements are intended to comply with SOBOBA MEDICAL GROUP’s rights and obligations under the DMCA and, in particular, section 512(c), and do not constitute legal advice. THE PURPOSE OF THIS WEBSITE IS TO ENHANCE, NOT REPLACE THE DISCUSSION AND CONSULTATION WITH YOUR PHYSICIAN SO THAT YOU CAN MAKE AN INFORMED DECISION BASED UPON THE RISKS, BENEFITS, AND ALTERNATIVES FOR YOUR SPECIFIC NEEDS AND DESIRES. AFTER VIEWING THE INFORMATION ON THIS WEBSITE YOU WILL BE ABLE TO HAVE A MORE MEANINGFUL DISCUSSION WITH YOUR DOCTOR. PATIENTS NEED TO READ ALL CONSENT FORMS FULLY, AS THEY CONTAIN IMPORTANT INFORMATION REGARDING THEIR TREATMENT. RESULTS NOT GUARANTEED. ADDITIONAL AND/OR ALTERNATE TREATMENTS MAY BE NEEDED TO ACHIEVE THE DESIRED RESULT.